The mainstream media are on a mission to take down Donald Trump. The media’s frontline soldiers are late-nite comics who parrot the talking points of Democratic politicians and snipe at the president every single night. But Jimmy Kimmel just crossed the line with his latest attack on President Trump. Liberals are killing comedy. The outrage culture propagated by the left has severely damaged the profession. Jerry Seinfeld, Chris Rock, and other prominent comedians refuse to do shows on college campuses because they’re the epicenters of cancerous progressivism. Western universities have become so corrupt, mainstream conservative guest speaker Ben Shapiro required $600,000 in security to ensure students at Berkeley wouldn’t destroy the campus. The Berkeley-Shapiro saga is not unique. Many right-of-center speakers have been deplatformed, shouted down, chased off campus, and even physically assaulted. A leftist professor at Middlebury College was injured by students for simply inviting libertarian author Charles Murray to speak. The only comedy leftists are allowed to perform is targeted at conservatives. For example, Comedy Central’s Samantha Bee can call Ivanka Trump a “feckless c*nt” and get away with it. So late-nite comics like Bee, Stephen Colbert, and Jimmy Kimmel attack Trump and his family mercilessly every single night. This isn’t comedy. It’s activism. These dutifully left comedians to trot out every single Democratic policy prescription to hammer Republicans. It was revealed Kimmel even gets his talking points from Chuck Schumer. Kimmel has gone after Trump on a host of issues, but his last barb at the president was particularly distasteful. While discussing the tapes revealed by Trump’s former lawyer Michael Cohen, Kimmel joked with glee that the content of the tapes could end Trump’s marriage to Melania. The delight with which Kimmel jokes about Trump’s marriage is appalling and shows how far the left has gone. Generally, wives and children have been off-limits in terms of political fighting so long as they’re out of the fray. Melania isn’t terribly political, yet leftists make fun of her accent and suggest she’s a hostage in the White House. Bee’s vulgar language toward Ivanka, who has actually fought for causes the left likes, has been used by others. The left has even gone after Trump’s adolescent son Barron. The line no longer exists for leftists, and late-nite comedians are more than happy to do their dirty work. 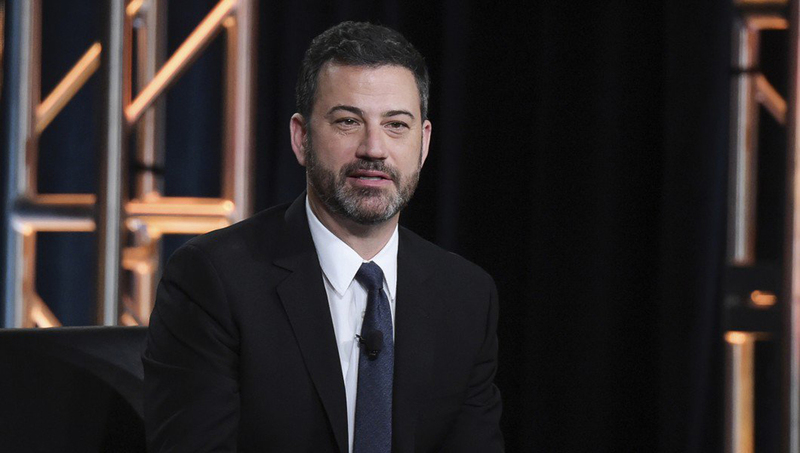 Jimmy Kimmel has become the torch-bearer for Democrats. He was dubbed “the conscience of America” by the left for his repeated teary-eyed rants about healthcare and gun control. Apparently, conscience goes out the window when making fun of the president’s wife. It’s also interesting that Kimmel mentioned Sweden in his monologue. The mainstream media laughed at Trump for talking about the problems Sweden was facing. They completely downplayed the negative effects of mass migration into the country. Eventually, the media were forced to acknowledge Sweden’s problems, but now they quickly dismiss them as part of a lame joke. Comedy is on life support, and liberals are responsible.